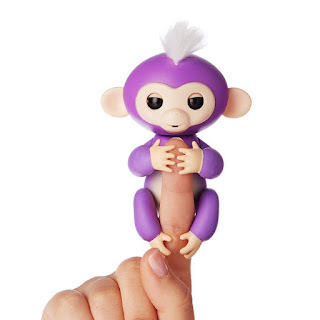 Savvy Spending: Amazon: WowWee Fingerlings Purple Monkey Mia for just $14.99! Amazon: WowWee Fingerlings Purple Monkey Mia for just $14.99! Amazon has the WowWee Fingerlings Interactive Purple Baby Monkey – Mia for $14.99. This will sell out, so act fast!